(26 July 2017) Television Broadcasts Limited (TVB) has entered into a partnership with leading Hollywood TV and film production company, Imagine Entertainment (Imagine) to produce a slate of television serials. TVB invests US$ 100 million in the joint venture which will finance the development and production of television projects for US and international markets. The deal was orchestrated by CMC Holdings (CMC), an important investor in Young Lion which is TVB’s largest shareholder. CMC was instrumental in the creation and negotiation of the joint venture. TVB Chairman, Dr Charles Chan said TVB’s production base for television programmes has always remained in Hong Kong. The joint venture with Imagine will provide a new opportunity for collaboration in television projects in the US. “Under the impact of globalisation, TVB needs to expand its production base as well as its distribution markets. We want to be partnering with a company that is at the forefront of TV programming,” Dr Chan said. TVB will have the rights to release, reproduce, distribute, broadcast and use the TV programmes developed and produced under the joint venture by Imagine in Mainland China, Taiwan, Hong Kong and Macau. Imagine Entertainment was founded by Brian Grazer and Ron Howard in 1986. It has an impressive track record of creating enduring and iconic movies and TV programmes. It has won more than 60 prestigious awards, including 10 Academy Awards and 40 Emmy Awards. Grazer and Howard’s early collaboration included A Beautiful Mind for which the film won the Oscar for Best Picture and Howard won Best Director. Other past productions included The Beatles: Eight Days A Week – The Touring Years, Apollo 13, American Gangster and The Da Vinci Code. The early cinematic success was followed by award-winning television series such as 24, Empire, Arrested Development, Parenthood, and Friday Night Lights. TVB and Imagine will each own 50% of the joint venture. 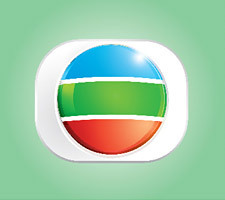 The investment of US$ 100 million will be financed by TVB’s internal cash.